Where did Mom's missing vitamin B12 go? That was the big riddle in my mother's life the year I was trying to pass all my grade twelve exams, AND manage the house while Mom was in hospital. I've just had the most amazing education through a Youtube video about vitamin B12. Honestly, I was flabbergasted! My Mother was tossed by a cow before I started school, brought in and put on her bed to die. When she didn't die in a few days, the family took her to a hospital, and then she was transferred to the bigger University hospital in Saskatoon, where they did some emergency surgeries to ease her suffering. No one expected her to pull through, but she was a strong-willed woman! She was determined to see her children grow up. 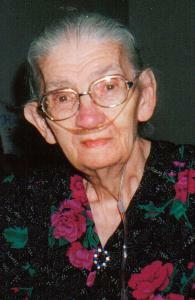 Mom did recover remarkably, but had poor health all the rest of her life. I, as the eldest of five children, saw much of it, but didn't understand all the medical stuff in the background. In 1983 I moved home to care for my parents in their old age. Particularly, Mom. She had got so weak and frail that she couldn't do much of anything at all. That's when I learned a lot more about her health issues as I took her to doctor appointments, learned home nursing care on the fly, and became her advocate. But the video I saw recently explained so much from a medical standpoint, that I feel my eyes are finally opened to understand what she was going through. In my school years Mom was in and out of hospital for this or that, and I lost track of what all the problems were. However, during those later caregiver years I compiled a medical history to hand over when we appeared in emergency to save us trying to recall it all off the top of our heads. That history was two sides of a legal-length sheet of paper, in a small computer font, and it listed Mom's 15 surgeries, plus all the hospital stays and crises we could put together, partly from Gr'ma's diaries, for she had recorded each time Mom was in hospital. (Gr'ma also had my youngest sister to care for until she was school-age, Monday through Friday. I had my little sister on the weekends). When I was in grade twelve Mom was in hospital for three weeks to three days each month. Mainly she seemed to be losing blood but the doctors couldn't find where it was disappearing too. They couldn't find any internal bleeding. So they spent about a year giving her blood transfusions and trying to solve the mystery of the disappearing blood. Finally, her doctor read in a medical magazine about Pernicious Anemia, caused by a deficiency of Vitamin B12. They tried giving her B12 shots in various doses, and working from daily, to finally deciding that she was managing if she got it every two weeks. A nurse was arranged to come to our home and give her the shot bi-weekly. The doctor said she might live just another 5 years. If the nurse was one day late, Mom lost her voice and was too weak to speak aloud. Well, Mom fooled them! She lived another 30 years. Then she died of kidney failure and congestive heart failure. But those were not totally glorious years. There was so much sadness, fatigue, and negative attitude in Mom. She was just skin and bones, and what she ate did not seem to stick to her at all. She lost feeling in her feet and fingers, and eventually her eye sight too. Mom did enjoy crocheting for hours on end, doing beautiful work, but it was pure concentration because her fingers were not always aware of the hook. When her eyesight went, so did her mind. Dementia crept in. So back to this video I just saw. Dr. Peter Osborne explained with diagrams the reasons why a person might develop a Vitamin B12 deficiency, and how often it becomes worse because doctors do not recognize and diagnose it properly, so the prescriptions they do give, only make matters worse. Almost every sentence he spoke gave me ah-ha! moments! When she was tossed by the cow way back when I was about 5 or 6, the doctors carved away her damaged organs, two-thirds of her stomach, including the gland that produces hemoglobin, part of her liver, and intestines, and so on. At one point they were afraid she didn't have the stomach acids to digest her food, so they gave her an acid (Dad called it battery acid!) to drink through a glass straw. (I don't think she did that very long, so she may have balked and refused to keep on with that). But I see now that they never did restore her digestive tract's ability to digest her food. Whatever she ate pretty well went straight through her, as she had an almost continuous state of diarrhea. Dr. Osborne showed how the earliest signs of a missing vitamin B12, or deficiency, are depression or sadness, and fatigue. But if anti-depressants are prescribed they add a shortage of Folic acid which is another B vitamin. That creates more symptoms. Not being able to digest gluten meant one doctor diagnosed that Mom had Celiac's disease too. Much as she liked her white buns, breads, corn, and other foods, they either went straight through her, or upset her stomach if they lingered. She wasn't much for sweets, but she did like her soft white buns, and dill pickles. Since I had to make them for her at her direction those last 14 years, I know very well that her dill pickle recipe called for equal cups of sugar to the white vinegar that was used. She said she liked the soar taste, but I turned them down because of all that sugar! Now I think I should have got her to drink apple cider vinegar straight. It might have helped her digestion! Dr. Osborne says in the video that the more advanced state of vitamin B12 deficiency is seen in any one of three kinds of anemia. A shortage of white blood cells, or the red ones, or the platelets. Each brings on different symptoms. Well, Mom had them ALL because of her missing vitamin B12! Another problem with the 'missing vitamin B12' is oxygen deprivation. Mom's doctors picked up on that, and the last 5 or 6 years they had her on oxygen around the clock. Dad and I would drive to the city every couple of weeks or so, and pick up 3 or 4 of those big green cylinders. Dad was good at changing the one in the living room for the next one from the garage as needed. We both learned to step OVER the clear canula hose snaked all over the floors and hallways to Mom's hospital bed. Towards the end we got a machine that produced the oxygen as long as it was plugged into the power outlet. No more handling of the green cylinders. By now I've probably told you far more than you want to know on this subject. However, if you suspect you may have a Vitamin B12 deficiency, or some loved one in your family does, then I think this video would be very worthwhile for you to see. Since Dr. Osborne talks a little fast, you may have to replay it so you can take more notes. Dr. Peter Osborne, D.C., D.A.C.B.N. is the clinical director of Town Center Wellness in Sugar Land, TX. His practice focuses on integrative holistic care to include chiropractic, decompression, lifestyle coaching, as well as treating complex medical problems by identifying an individuals genetic variations, and correcting nutritional deficiencies through the use of specialized laboratory testing. He has been on Staff at Texas Women's University and HCC teaching Neuroanatomy and Nutrition. He is the Executive Secretary for the American Clinical Board of Nutrition, and lectures nationally to other physicians on a variety of nutritional topics. He can be reached at 281-240-2229 or on the web at TownCenterWellness.com. Q. Where would I buy B12? A. Most health food and drugstores carry it.